Easter is one of those holidays that is filled with delicious sugary sweets. I love a good Cadbury egg, jelly beans, and of course Peeps. I wanted to do something a little bit more creative for this Easter, and that is where these tasty edible Easter bird nest came in to play. 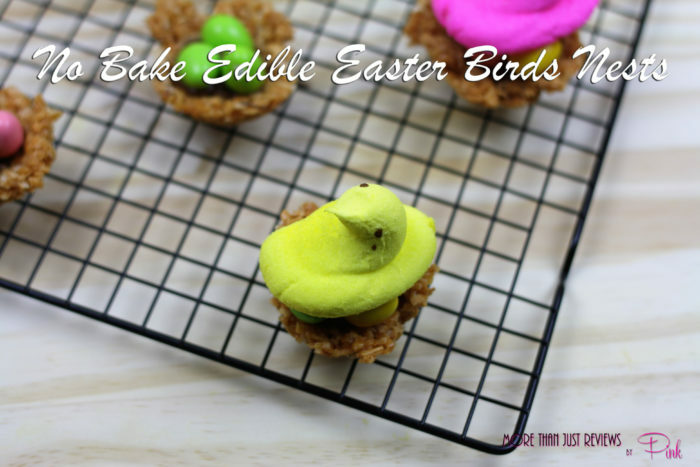 These No Bake Edible Easter Birds Nests will be the highlight of any Easter gathering. I mean who doesn’t like toasted coconut, then to add caramel, man. These beautiful nests are not only adorable for display but once you sink your teeth into them, you will be amazed at the flavor factor. 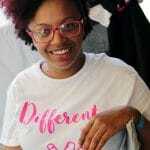 Plus kids will love the fun look of them! The nest part is almost like a caramel coconut macaroon that is perfectly sweet. 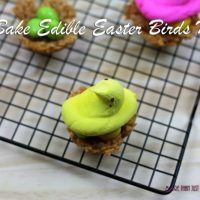 Then you add a little bit of Nutella and add candy eggs or a marshmallow Peep, and you have your own edible bird eggs to sink your teeth into. Because, like most of my recipes, this was something that came out of my wild imagination, not the nests but making them this way, I was honestly surprised at how well they turned out. They taste sooooo good too. The kiddo’s approved them as well and said they deserved a gold star for the sweet taste. I may be a little biased though, seeing how caramel is my favorite candy, but to even it out, I should mention I am not a fan at all of the coconut. Even not being a huge fan of coconut I still really enjoyed these edible bird nests. They have the perfect amount of caramel paired with coconut, it made them pretty scrumptious. If you struggle with being a chef in the kitchen, know these are super easy to make. You have the muffin tin as a mold so it makes the nests process a whole lot easier, and you don’t have to worry about the shape. Then the Nutella and eggs and Peeps are a breeze. Trust me these are great for kid parties, treats for your kids after school, or make and give to your neighbors and friends. The edible Easter egg nest are perfect for any occasion during the Easter holiday. Check out these other great easter posts! Mix coconut and caramel and stir until all coconut is coated. Allow caramel to set completely. Toast the coconut so it gets nice and light golden brown. This will add a whole new dimension of flavor to these edible birds nest that will leave people reaching for another. Mix the caramel and the coconut together to make the nest. It will be a sticky consistency, that you can mold pretty easily, and it will still hold the shape. Once the caramel is completely set, you then add a dollop of Nutella. You can substitute for Nutella if you prefer. I find the Nutella adds a nutty factor that completes the nests. Then add your eggs or Peep and your eggs are complete.